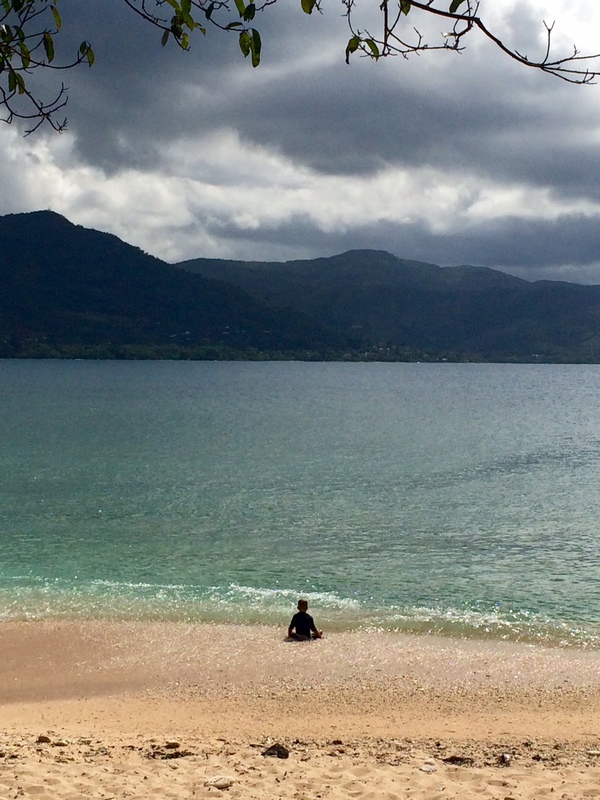 It’s been a busy few weeks in New Caledonia. Sunday saw the provincial elections much of Caledonia has been waiting for, resulting in 29 seats going to anti-independence leaders and 25 seats to the pro-independence leaders, narrowing the gap between those for and against independence for New Caledonia (you can see the full results from the election here in French). Next we will see if the 54-member Congress will see the three-fifths majority it needs to issue the first of three public independence (self-determination) referendums in the coming months. Last Wednesday, the Vale nickel mine located in the south (Goro) had an acid leak (110,000 litres of effluent, some of it containing acid), the 6th in 5 years. Bad enough to close the plant and raise local tempers, we are waiting to hear what happens next. The World Wide Fund for Nature (WWF) New Caledonia has said that risk management at the plant seriously needs to be addressed or the plant should be closed down; the area may not survive a 7th accident. Since the weekend, local residents have blocked access to the plant and are calling for its definitive closure. Kanak chiefs from the south were meeting about the matter today. 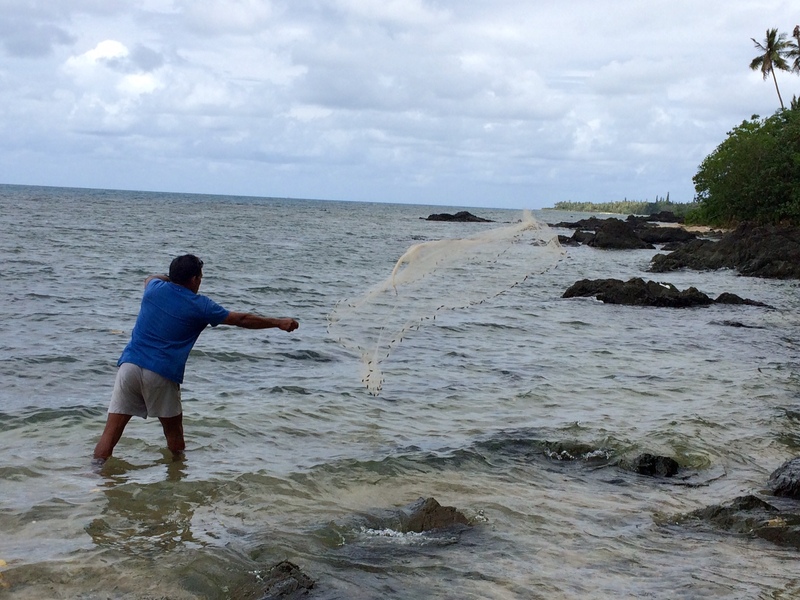 In the middle of all this, we travelled up to the north-eastern coast of New Caledonia – to Poindimié. Cut off from the rest of the world, apart from public wifi access near the Reception at Hotel Tieti, it was next to impossible to know what was happening more than 10 metres ahead of us. 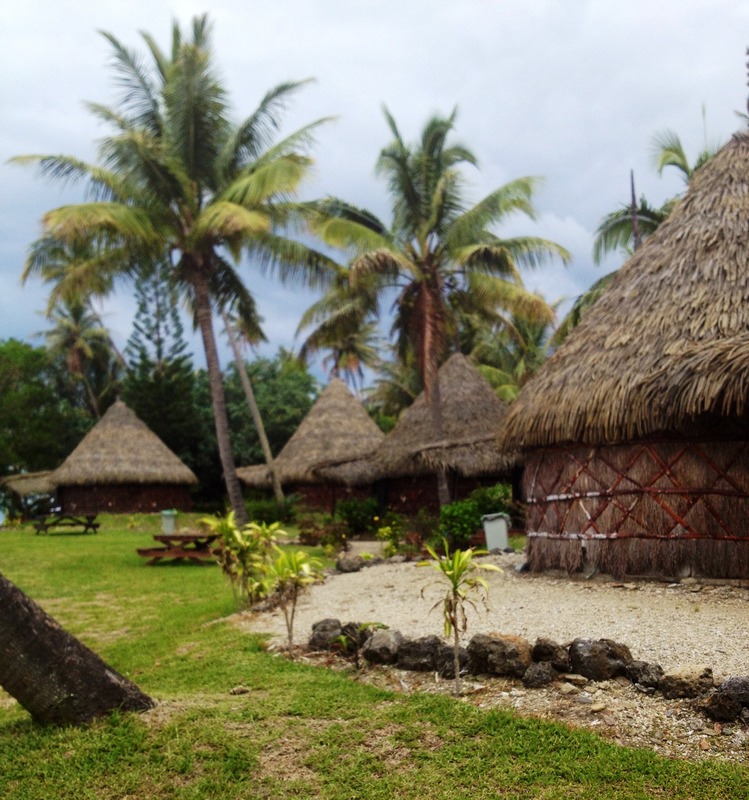 This was our first visit to Poindimié and I have to say it was our best stay up north yet. Personally, I love the north and like to go up there as often as we can. I have enjoyed Hienghene and Poum and will most likely return to Poindimié again now that we had such a great experience there. 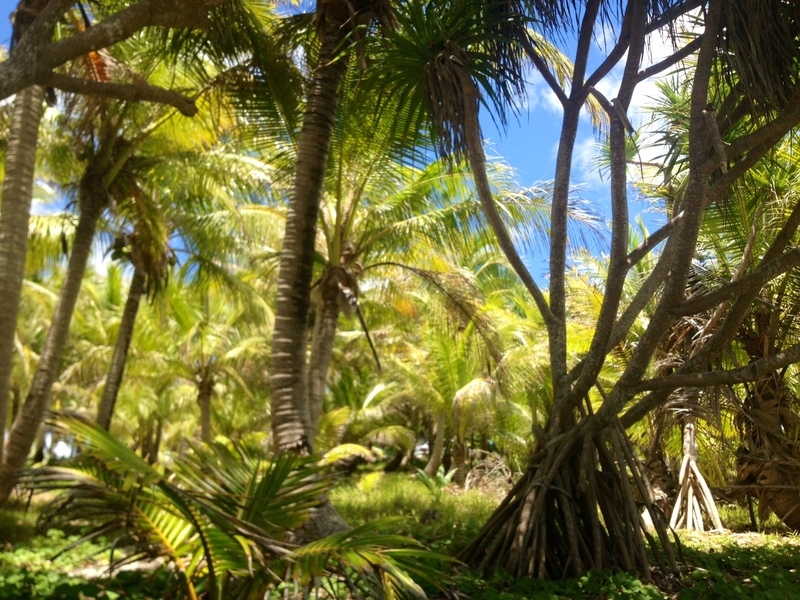 Just over 4 short hours outside Nouméa, and we feel like we’re in the Back of Beyond. With only 3 hours up to Koné and then 1 hour and 10 minutes across to the east coast through the mountains, the trip was more manageable than making the trek up further to Poum or to Hienghene. It actually felt quite quick! The beach bungalows at Hotel Tieti are large, modern, clean and beautiful, with large terraces overlooking the lagoon. Complete with a shower and full bath, we felt we were in the lap of luxury itself. 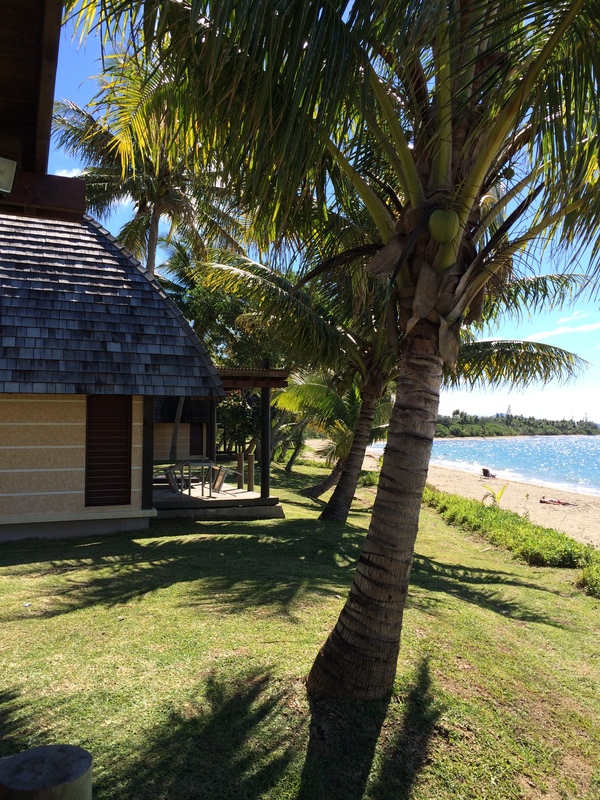 To us, Hotel Tieti was hands-down the best northern New Caledonia hotel yet. Our meals were copious, a full, hot breakfast was included in the price of the room, and in our case, service was fast and pleasant. The beaches in front of the Hotel Tieti are long, quiet and empty (even on a long weekend – though I’ve been told they are slightly busier in January and February, during the high season). 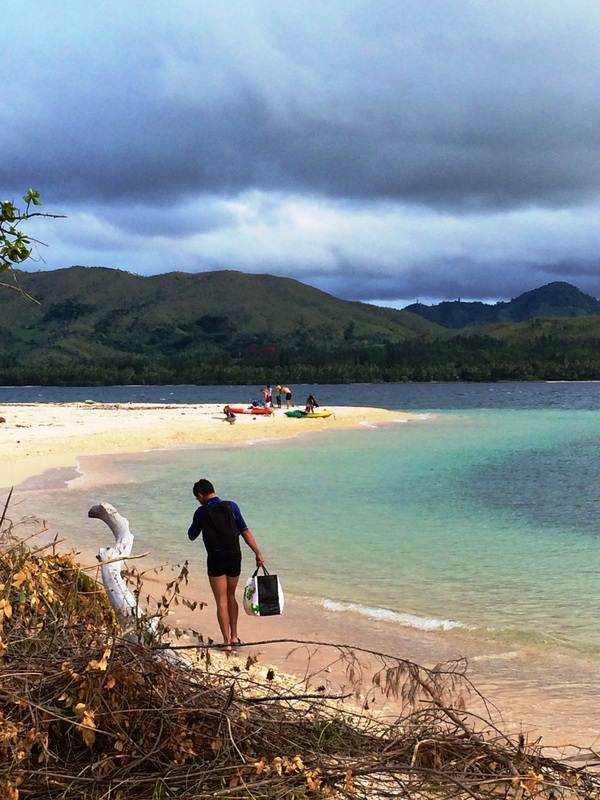 A 5-minute boat ride separates you and Ilot Tibarama, where you can dive and snorkel in what seems a tropical fish aquarium. A tiny isle, you can spend all morning there or part of the afternoon. We opted for the afternoon as a 7:30 departure felt a little too early. 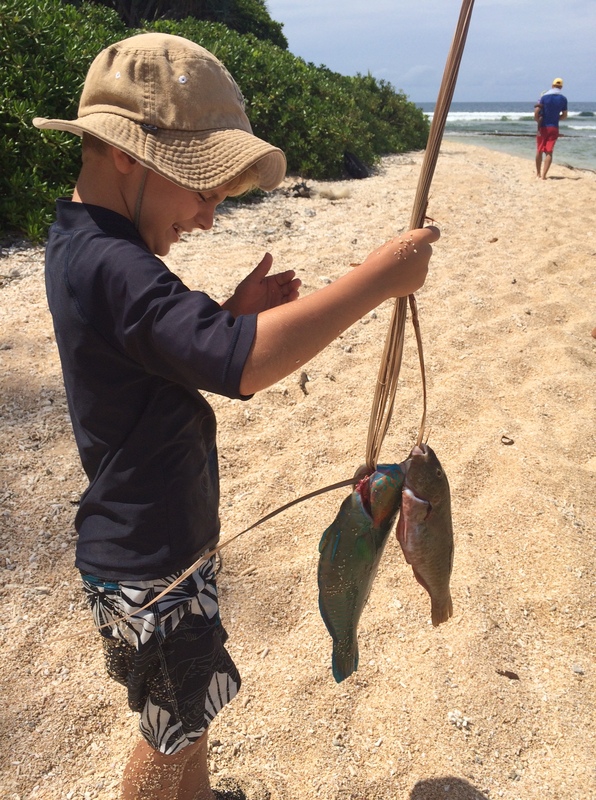 In addition to diving and all-morning snorkeling outings with Tieti Diving (including a diving initiation for children 8 and up), you can also hike, hire guides, visit Kanak lands and the tribes and learn more about the region. 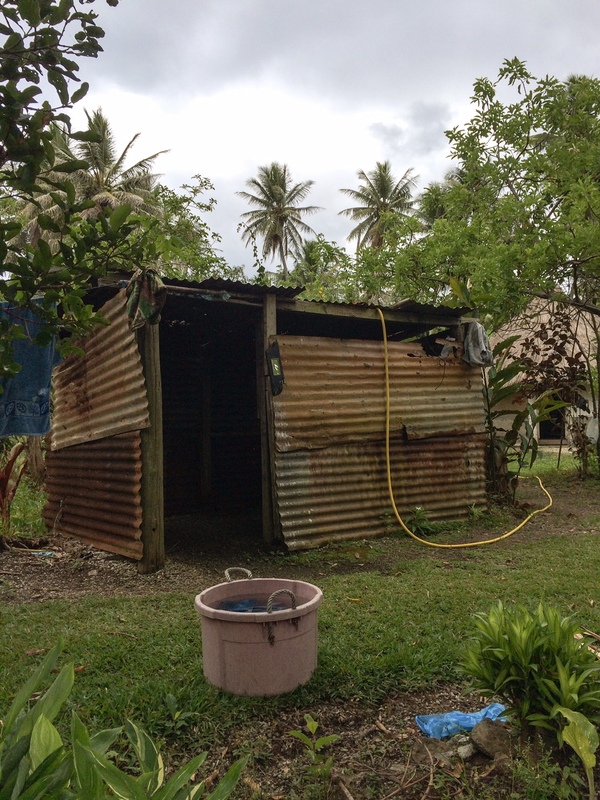 With such close proximity to the lagoon, we heard nothing but the crashing of waves at night. 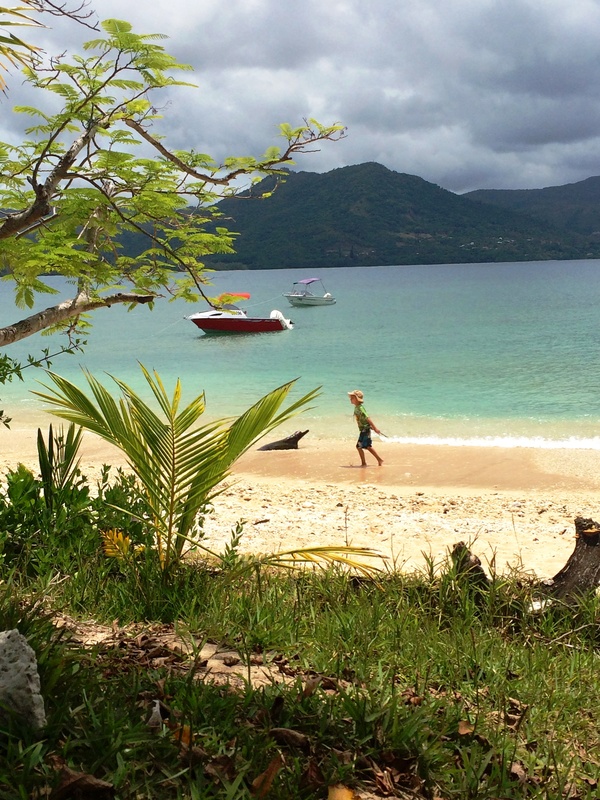 Plenty to explore, quiet to enjoy, Poindimié was the perfect combination of activity and relaxation. For those of you who are not familiar with cagoodeal.nc, there are constant deals on the Hotel Tieti listed there (an example of 1 night free for 1 night paid here, good through 30 June), which makes a drive up north definitely worth considering. If you end up going, or have been to Poindimié and would like to share your thoughts, please do. I’d love to hear from you! We had torrential rains last week, which among other things, took the life of a 6-year-old boy. 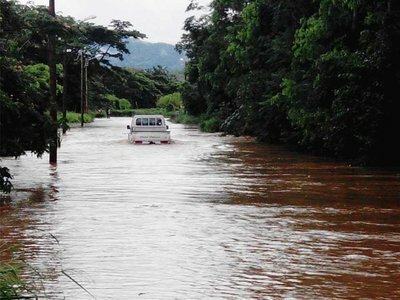 As families mourned, a baby was born in a fire station, as the rains flooded the roads blocking the mother’s trip to a Nouméa hospital. Before the rain rent the island, we traveled up to Hienghène, in northeast New Caledonia 2 weekends ago. We had already postponed our trip by a week, due to rain, and decided to risk getting up there and back before the rains started again. During the 6-hour car trip (with an hour’s break), we were spoiled for beauty, crossing the mountains, surprised by even lusher, greener forests than we’ve found in other parts of the island, the unexpected lagoon views and towering black calcium formations (“The Hen” and “The Sphinx” among others). Landing at the Koulnoue Village hotel (the old “Club Med”), we were surprised by the lack of a warm welcome (“If you want to eat here this evening, go see the people in the restaurant to reserve.”) and the general lack of information about the hotel and any activities (“See the folder in your room.”). Some of you may remember the service and warm welcome we loved in both Poum and Maré, and so will appreciate our slight surprise. As everyone had been so friendly on the drive up and in the approach to, and in, Hienghène (waves, smiles, friendly honking horns), and as we had heard so many wonderful things about Hienghène, and were admittedly tired, we just trundled off to the restaurant to reserve and to our bungalow to read the folder. But the beauty of the place! Admittedly the hotel is run down (more so than Hotel Malabou in Poum, we felt, and most any other place we’d been to in Caledonia), but slanting palms framing a lagoon grow on you pretty quickly. We went for a walk, watched the sunset from our lagoon-facing terrace, donned insect repellent and lined up for dinner. I do so wish hotels would serve dinner before 19.30, for the sake of children and families, but this hotel’s answer was to screen “Epic” on a big screen for the kids at 20.15. Ours was exhausted and falling asleep at the table. We knew we were in high season when we saw how busy the hotel restaurant (a buffet) was that Saturday night. My goodness! If you didn’t rush the buffet, you ended up with chipolatas as your main (which was indeed my case, as I have a horror of rushing anything, particularly when there are large groups of people or lines). As we’ve been to other buffets here in New Caledonia, I was disappointed by the quantity and quality. But again, we were tired, and only too happy to trundle off to bed early. 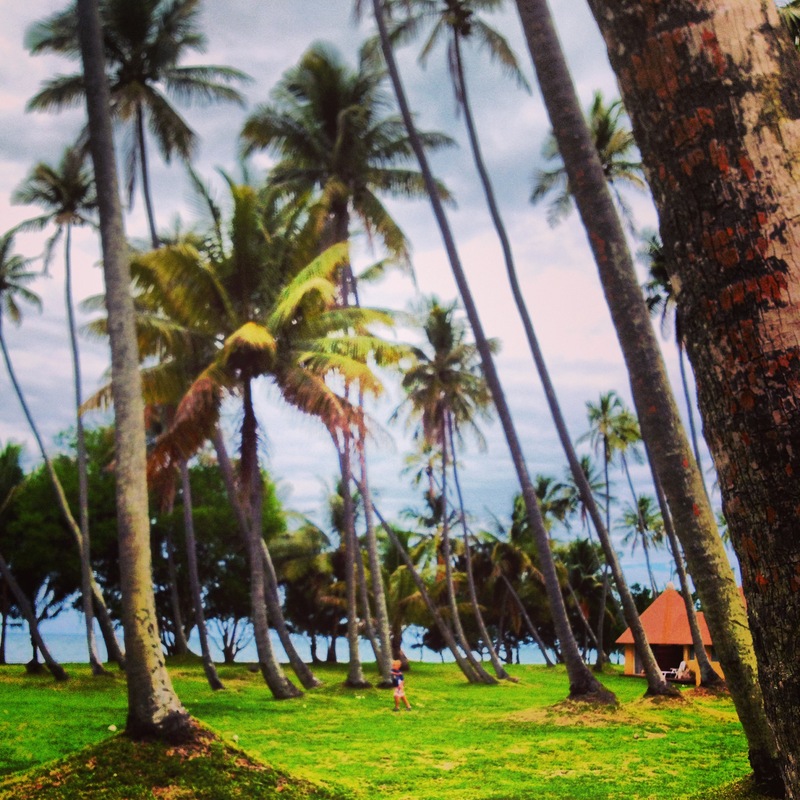 The best part of our stay in Hienghène was the half-day excursion we did the next day with Babou Ocean Side. Again, my goodness! This time, for all the best reasons. We loved this excursion (which, by the way, was not in the hotel folder, but had come highly recommended by a friend. 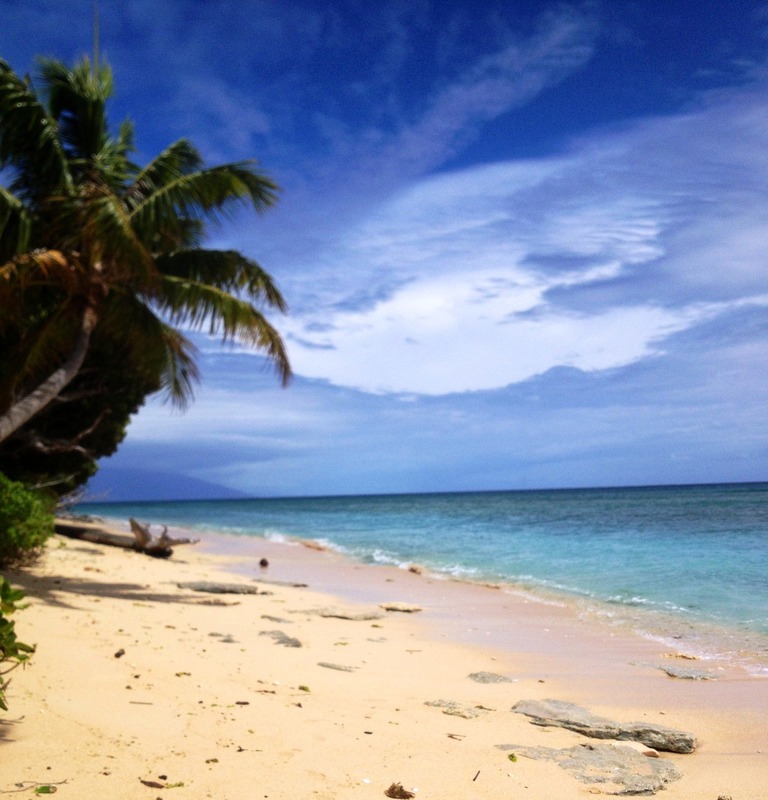 Among other excursions, Babou Ocean Side offers a half-day island and snorkeling tour. This was a boat ride to a small islet, an hour-long guided tour of the islet where we learned so much about 25 plants and trees, coffee/tea/biscuits and then an hour-long snorkeling guided tour, complete with wet suits, masks, tubas and flippers. 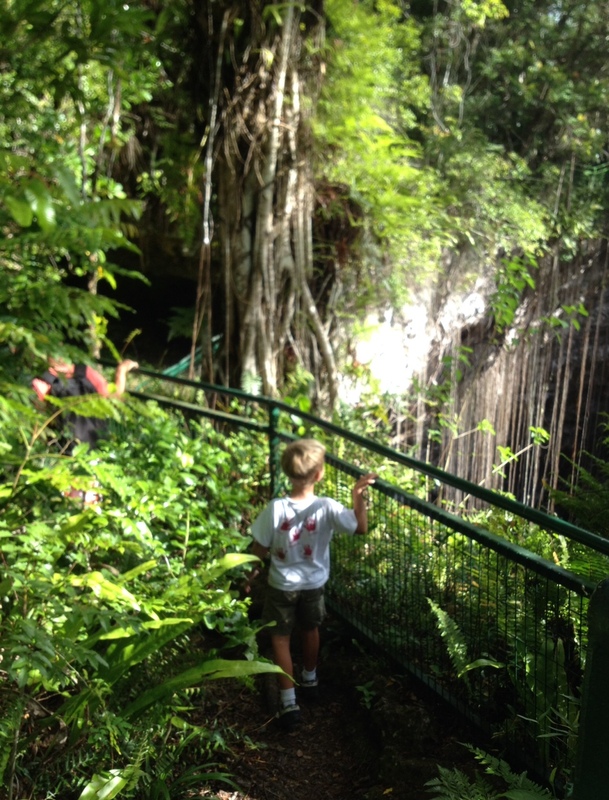 Of all the excursions we’ve done in New Caledonia, this was by far the most educational. We really recommend it! Our tour guide (Thomas) was friendly, knowledgeable and responsive. 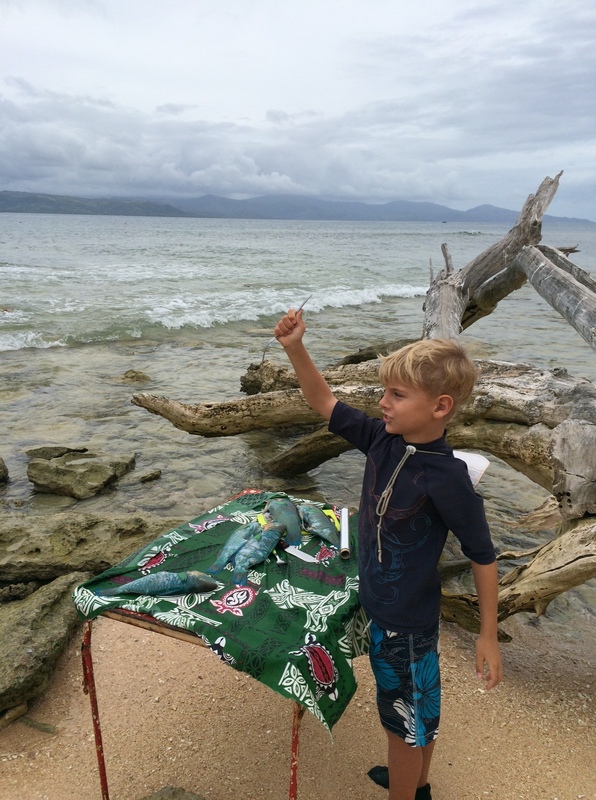 We did have an unfortunate incident with a hermit crab (of which there are many on Ilot Hienga – or Yeega) – in which Thomas put one in our son’s hand. The hermit crab decided all of a sudden to pinch our son’s palm and hold on for dear life. 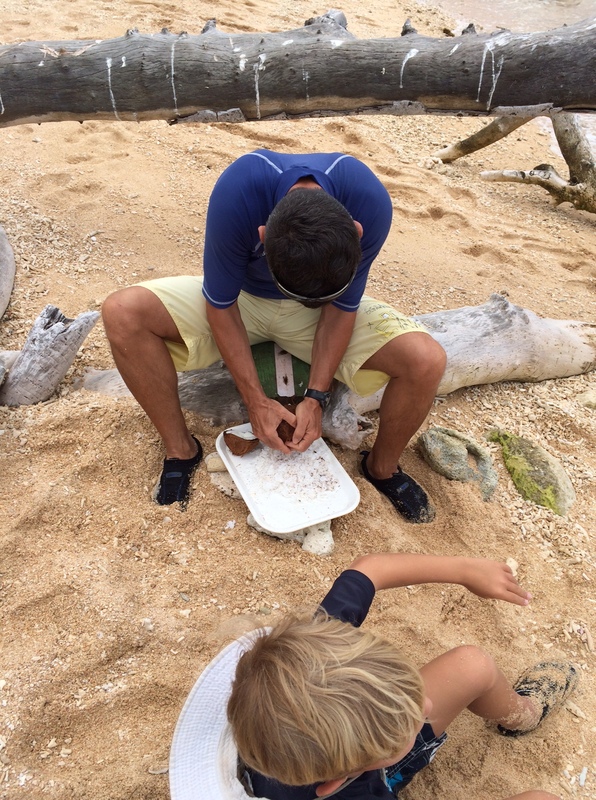 I can tell you, it took us a while to pry the hermit crab off, during which time our son was, well, in tears. Afterwards, he built a hermit crab prison, beach side, and we’re happy to report that his hand is fully recovered! All in all, we loved Hienghène. Would we go back? Probably for another tour with Babou Ocean Side (with whom you can also dive, learn about the mangroves, trek in one of the rivers, learn more about the Kanak tribes as well as the calcium formations). We’ll probably stay in Poindimie next and visit Hienghène from there – looking forward! Has reserved, friendly people who aren’t particularly driven by money or business (our car rental company was happy to pass us onto a competing company when they couldn’t deliver the car because their childcare provider had not shown up for work; we stuck with them and were happy we did, as they are a small company and we wanted to work with them). I’ve heard that Maré started to receive more tourists in 2013 with the Australian cruise ships. For the moment, you can’t tell. While we were there, we didn’t see a ship, nor tour buses, nor an increased infrastructure (toilets, trash cans, signs in English [or very many signs at all, for that matter]). 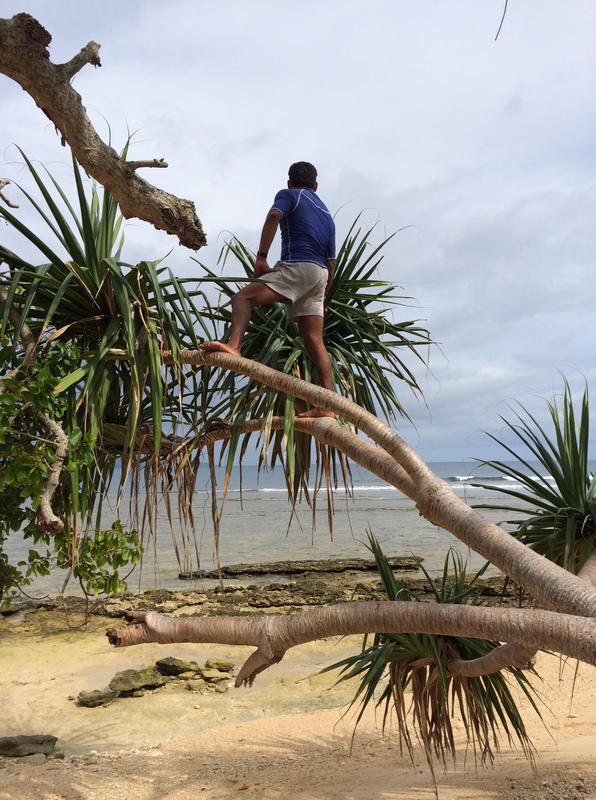 We didn’t hear or speak English, as we’ve done at Ile des Pins and Lifou. All of this, I felt, added to Maré’s authenticity, rather than detracted from its caché. I’ve heard that some visitors have come away thinking Maré has nothing to offer, that there is nothing to do there. This was not our experience – quite the opposite! 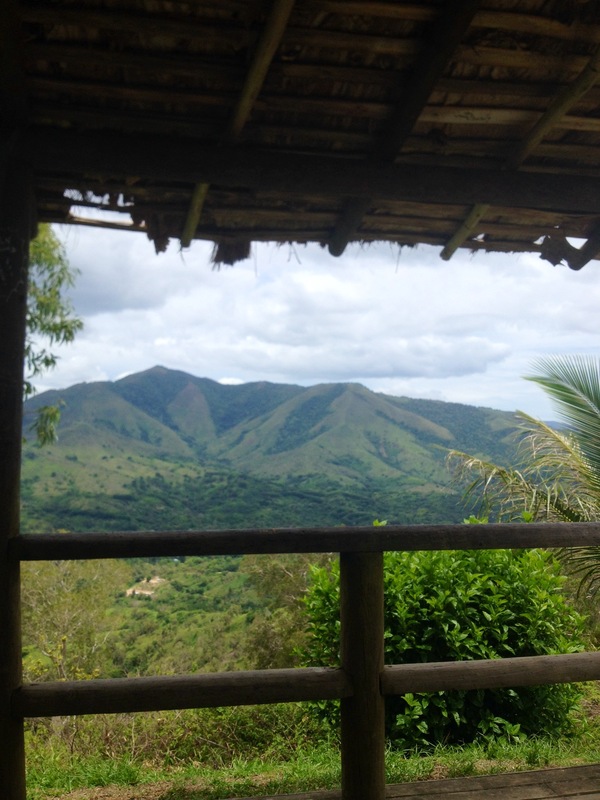 The first thing we did when we arrived at our hotel was speak with reception about their recommendations for what we should do and see in Maré. We had of course read the guidebooks and had a list (and remembered our trip of 2006), but our experience shows that the locals usually have good (and better) ideas, especially in places off the beaten track. We were surprised that reception told us we could skip the tour the hotel offered, as we had rented a car – that we could get as much out of our visit, by driving around and asking questions (for directions, for permission to visit the sites) as we would by taking the 2-hour tour. 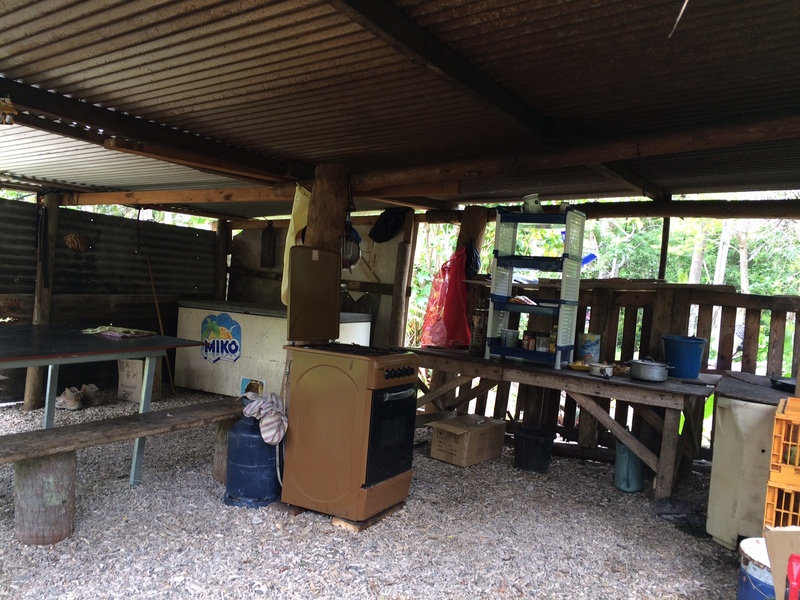 The only difference was that rather than have everything pointed out to us, and rather than be driven to the sites we wanted to see, we had to find them, ask questions and learn from the locals and our books. Just the kind of adventure we love! We were there only 4 days, but we would have loved to have stayed longer. The absolute highlight of this trip was swimming with the sea turtles in Turtle Bay. Interestingly enough, you won’t find mention of this bay in the guidebooks, nor of the turtles. It was one of the locals who told us where to go at high tide (the bay just north of Baie de Tadine, at Mebuet), when they would come in. There were between 5 and 7 of them, from young to old. Several times, we were swimming with more than 1 turtle at a time. At high tide, they come in quite close to the beach. 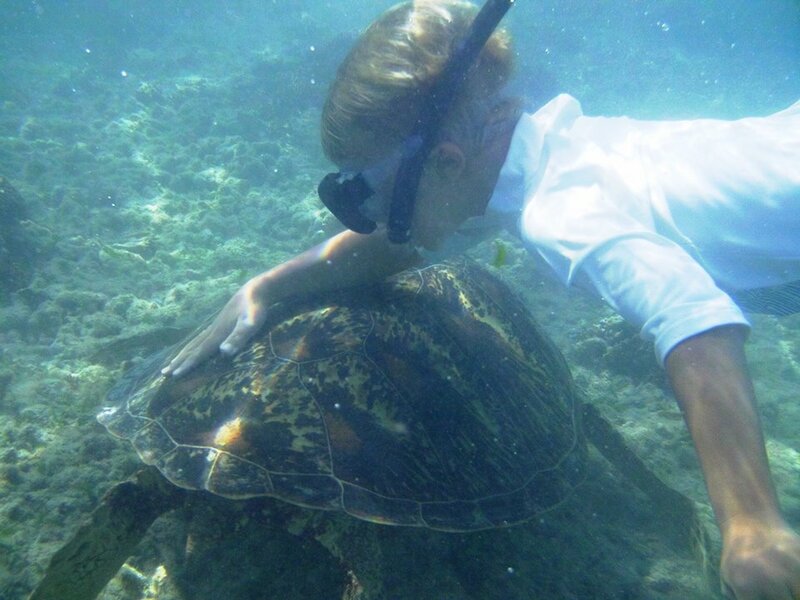 As we absolutely love swimming with turtles, we spent 2 afternoons doing so in Maré. 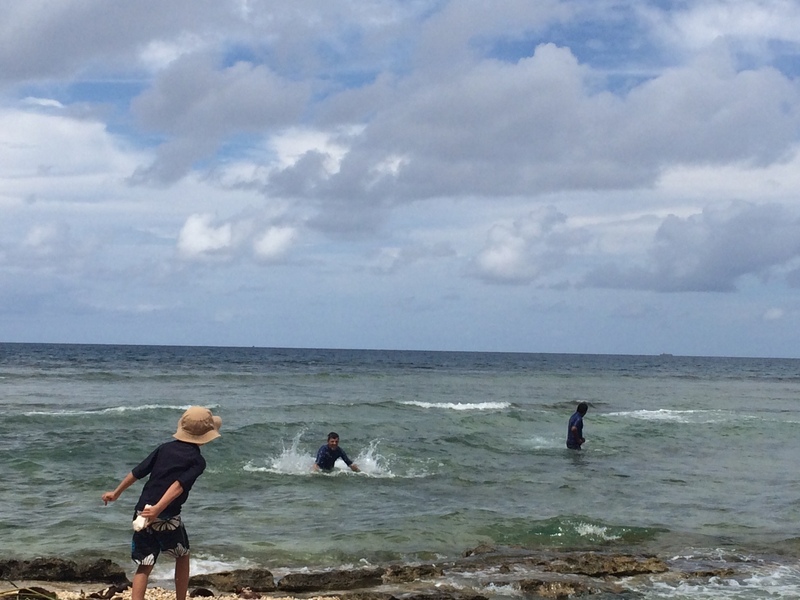 We watched them eat the sea grass, our son gently cleaned their shells for them, we hung out and observed them. The older ones are quite happy to have you rest quietly next to them, in respectful observance. The younger ones will take you on a tour of the bay. We were very careful to not approach them too closely, scare them, or block their paths, swimming alongside or behind them at all times. Several locals explained to me that the Kanaks do not swim with the turtles – that only the tourists do (though the Kanaks watch them from above). For the longest time, the locals did not know there were turtles in the bay (as they do not swim in shallow water – they fish deeper waters), and were surprised to see that they are in fact there all year ’round. This is somewhat odd, as this is egg-laying season – the locals did not understand why they were coming consistently to the bay, even in the warm season. After several hours, 2 days in a row, we could say that they were eating. They also appear to be very comfortable in the bay – there are very few people (even in high season). I hope it stays this way – for the sake of the turtles. 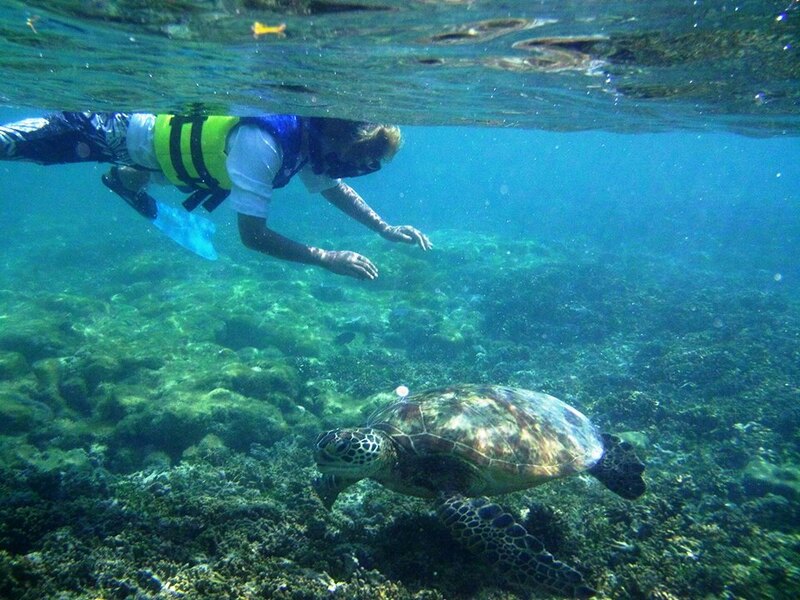 One local did say that the Kanaks consider swimming with the turtles almost “taboo”. I asked if we were allowed to do so. He jokingly said no. He laughed. Culturally, I couldn’t read his response, and he could see the concern on my face – the last thing I want to do is be disrespectful! He smiled and said it was okay. This being said, I would highly recommend that you ask the locals, should you wish to swim with the turtles, if you have their permission. 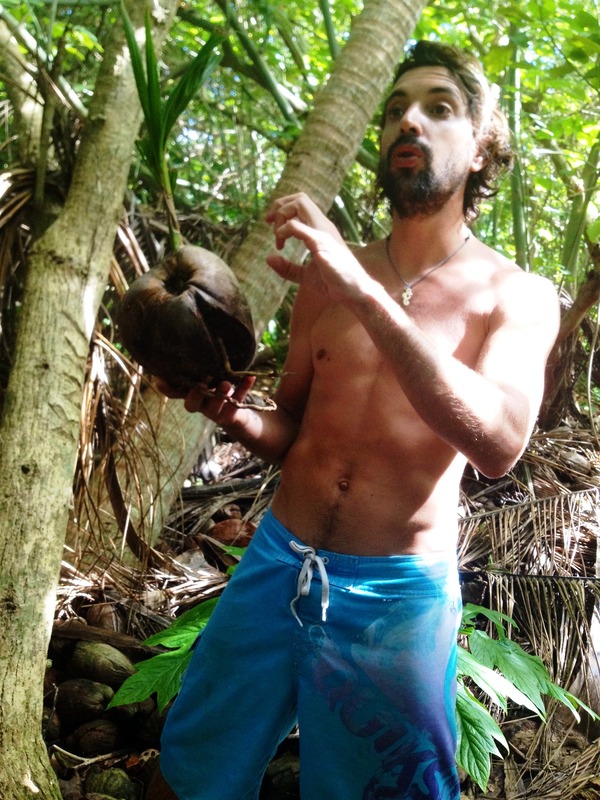 Another local told us of several killings on the island – in which people had gone off on sacred paths without permission or a guide (including at Shabadran) – and of one recent case in which the body of a local teacher (from France) has never been found. Can you get more beautiful than Ile des Pins? I didn’t think so. Ile des Pins, is after all, my favourite place in the world. But after a 2-day stay in Ouvéa (admittedly very short) at Christmas, I have to admit: Ouvéa is the “island closest to paradise”. 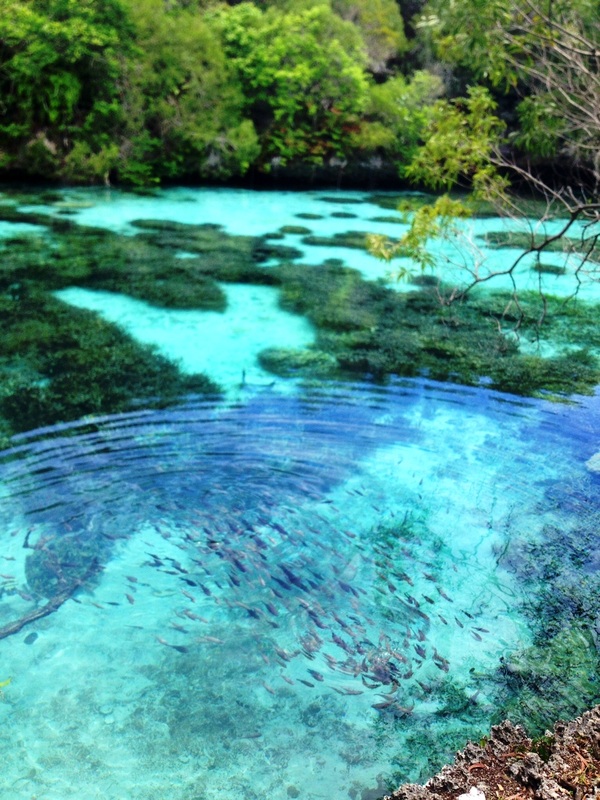 The turquoise blue of the lagoon and its many hues is unlike anything I’ve ever seen (except in 2006 [and then was reminded of it again in 2013!] 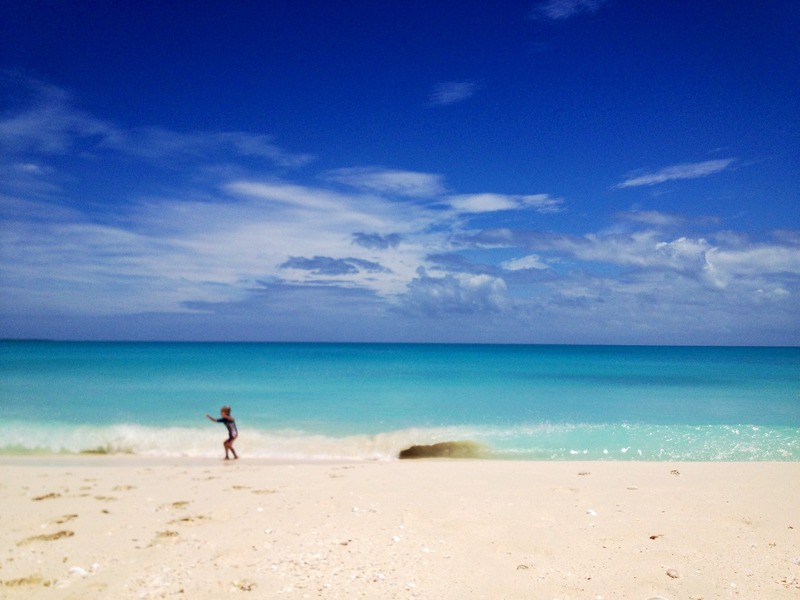 – and again, I am a great lover of the turquoise waters found at Ile des Pins. The white-flour sand is exquisite – so very fine, so very soft (finer and softer than you’ll find on the other islands). 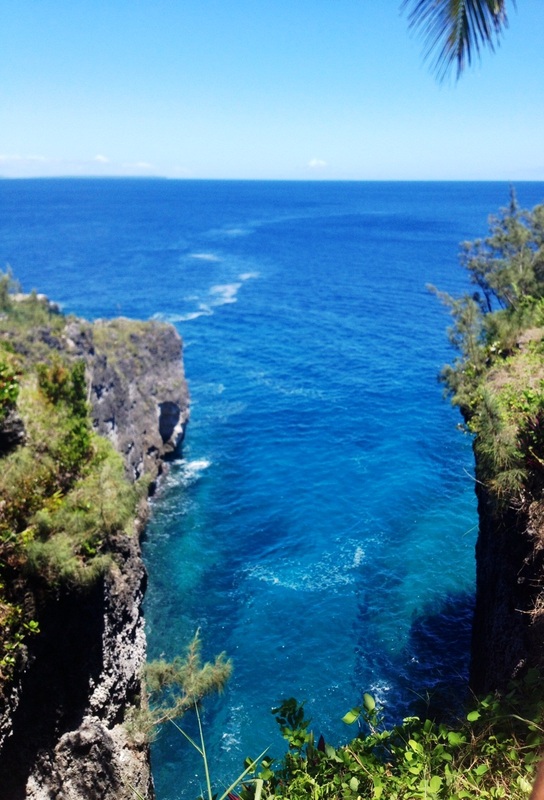 If you take a tour of the island (offered by the hotel), you’ll see the range of blues found nowhere else in the world. If you walk to the Pont de Mouli (Mouli Bridge), just 10 minutes from the hotel, you will swim with rays, turtles and sharks. 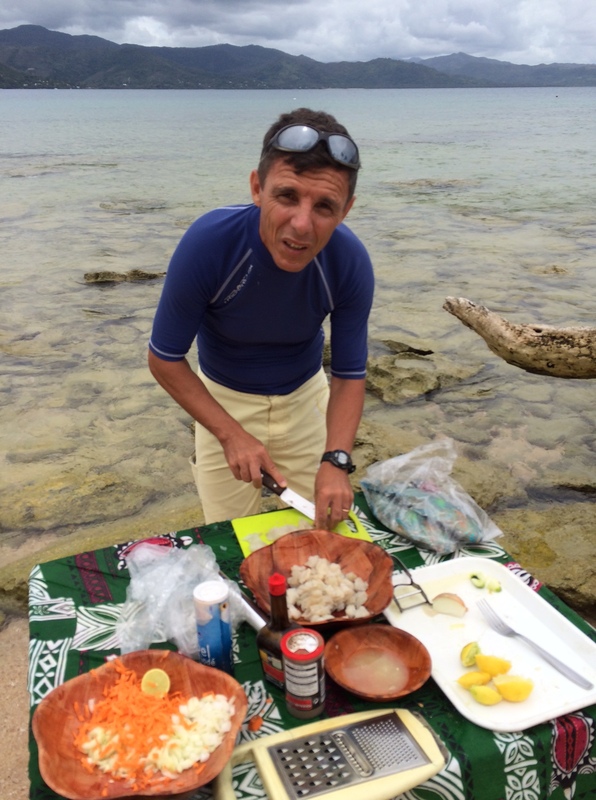 We also snorkeled with Picasso (trigger) fish and the little black and white-striped fish called “les desmoiselles”. Just remember to swim on the left-hand side of the bridge; the right-hand side is sacred and not to be ventured into. 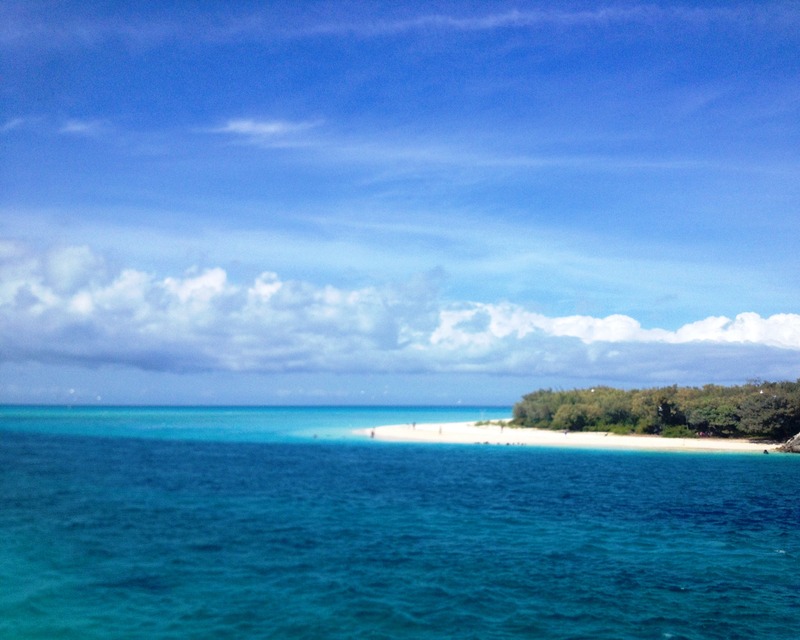 Ouvéa is one of New Caledonia’s 3 Loyalty Islands, and probably the least visited of the 3. I say that, only due to the price of getting, staying and eating there. The 40-minute round-trip flight cost 23,650 CFP (€198 or AUD 301) for one adult. For the hotel (and there is just one hotel on the island: Paradis d’Ouvéa), which is on the luxury end, the nightly rate for 2 adults and 1 child (breakfast included) was 28,930 CFP (or €242 or AUD 368). The lunches/dinners ranged from 6,000-7,000 CFP (or €50-59 or AUD 80-89). You can get sandwiches and things at “snacks” which are cheaper, but the hotel does not offer sandwiches to take away on picnics. The Christmas eve (haute cuisine) dinner was a one-price menu of 11,933 (or €100 or AUD 152) per person, with a small discount for a child. Delicious, and offered with live entertainment of local music and a Melanesian dance performance, it was however limited for children (we could not order anything outside the set menu of foie gras, lobster, beef, etc. for our son whose tastes are much simpler). With prices like these, Ouvéa is out of reach for large families or those on a budget. 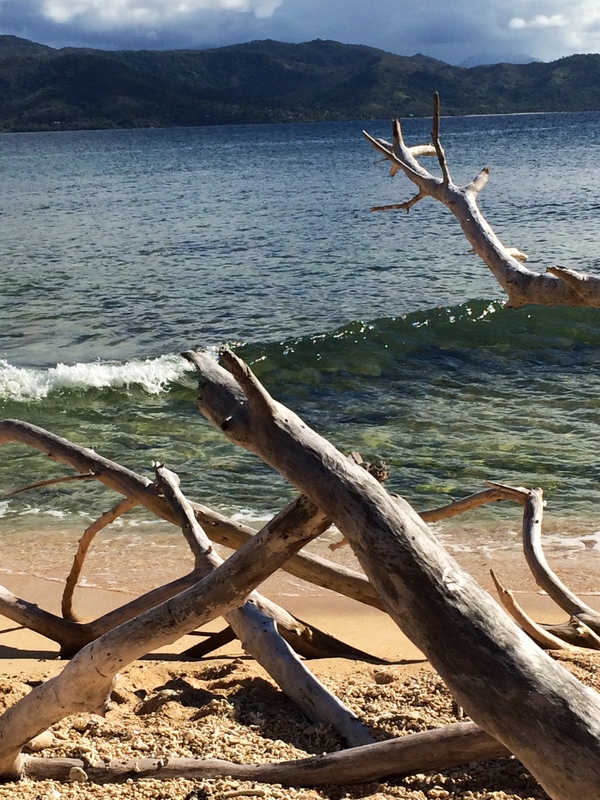 This being said, if you live in or come to New Caledonia, and can afford a trip to Ouvéa, I highly recommend it – if only for its natural beauty. I was speechless our entire time there. How can something this extraordinary exist? 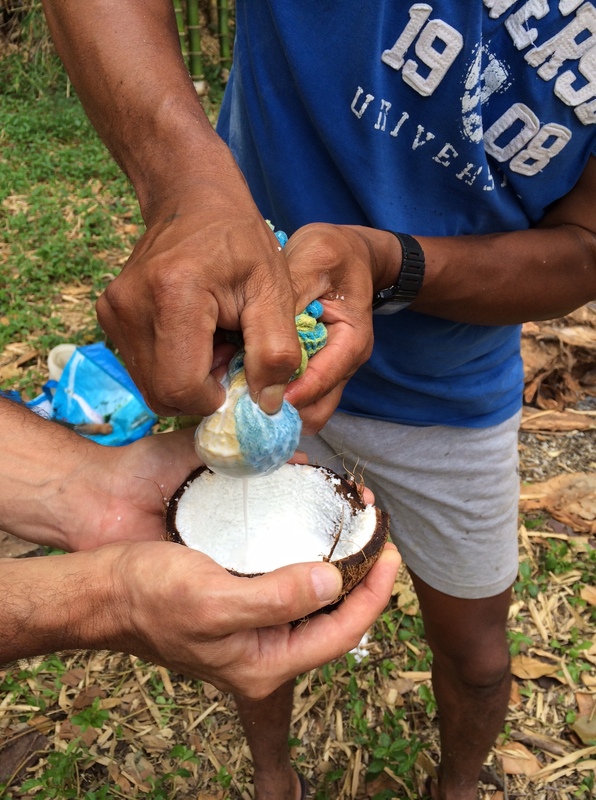 Such blues, such whites, palms, coconuts, fresh air, unpolluted, pristine – and empty. So very few people shared the 25-kilometre-long beach with us. Why? Where were they? The people (and there are only about 4,300 of them – 99% of them locals, 1% European) are friendly, and reserved. It was the first Loyalty Island, however, where I felt a division (the tourists stayed near the hotel and the locals in other parts). But I’ve heard that if you are able to spend more time and gain the trust of the locals, they are more than happy to speak with you about life on their island. If we ever have the budget again, or can get a special deal on the flights/hotel, I’d like to drink in Ouvéa at least one more time in my lifetime. If only to confirm it wasn’t a dream.